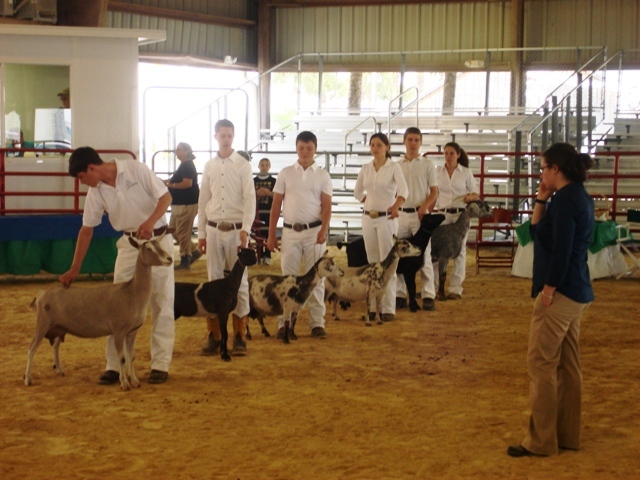 Umbuzi is the name of the only licensed goat dairy in Florida. It seems hard to believe, but it’s true. 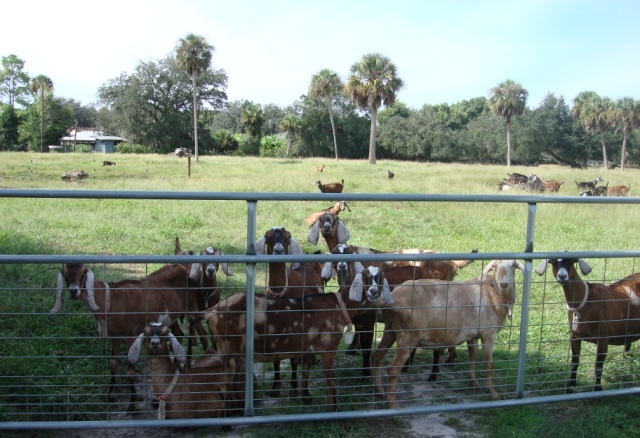 Florida has lots of dairy goats. Why is there only one commercial dairy? The huge investment in money, time and expertise may have something to do with it. However, the folks at Umbuzi have put their hearts and souls into this operation. It’s probably easier to move a mountain than to open a dairy from what I’ve heard. Umbuzi has done it though and they’re hoping to start selling their products to the public by February 2012. Umbuzi Dairy has a herd of over 70 Nubian goats. 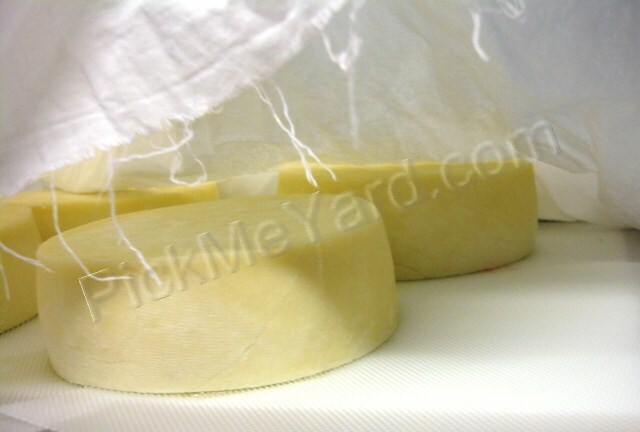 Umbuzi Dairy will offer hard and soft cheeses, plus pasteurized milk. They’ve just added yogurt to the list too because it’s the best yogurt ever. They don’t have a finished website yet, but they’re working on it. They can be found at UmbuziFarm.com. The goats at Umbuzi live in paradise. Isn't this pasture beautiful? The pink thing is for back scratching. They created an incredibly clever way to milk lots of goats at the same time, then send them down the line and back out to pasture. It moves. This is some of their equipment. 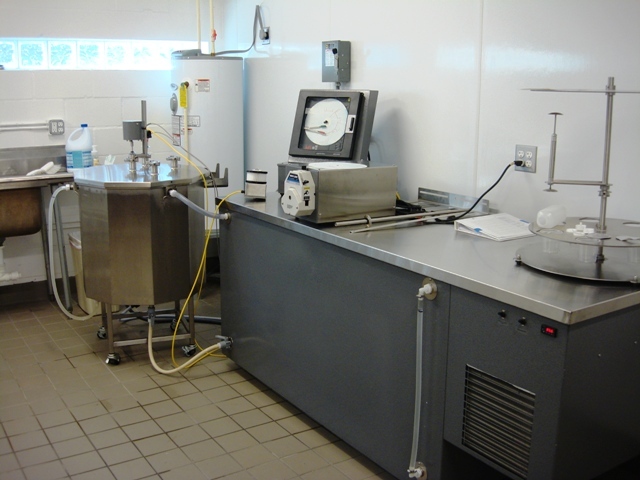 A commercial dairy requires perfection with temperatures, ph, and bacteria detection. 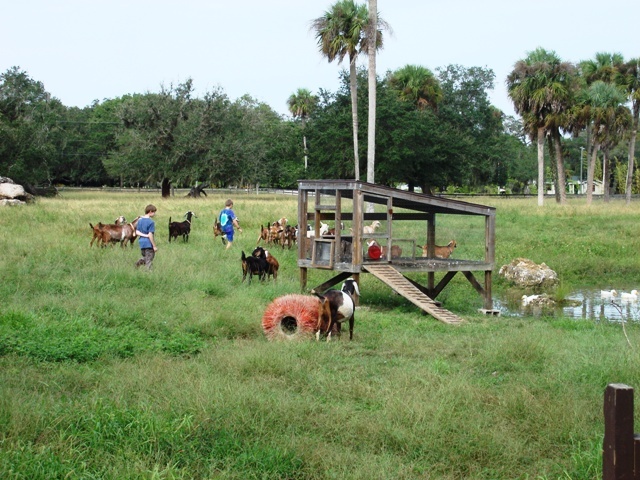 Pasture land at Umbuzi Goat Dairy in Southwest Florida. Umbuzi is located in a rural area outside Ft.Myers, Florida. 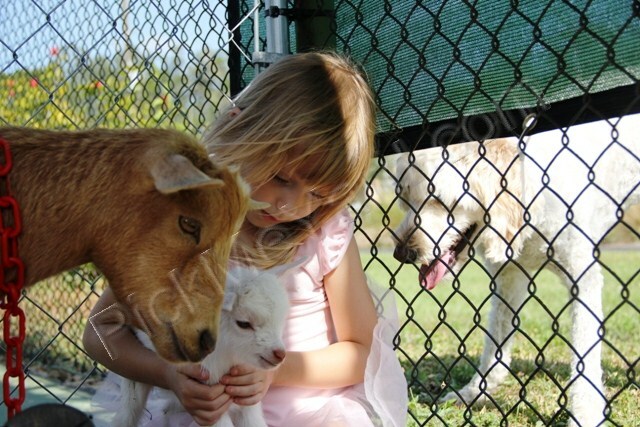 They’re a family operated business with healthy animals and a beautiful dream. Isn’t this the kind of food we all want? Support for local business is a very good thing, no matter where you live. Delicious goat cheese at Umbuzi Dairy. I just had to sneak a peek. This definitely isn’t Rosemary’s Baby. The devil didn’t have anything to do with this one. Well, maybe a little, because we haven’t been able to get a single thing done since she was born. 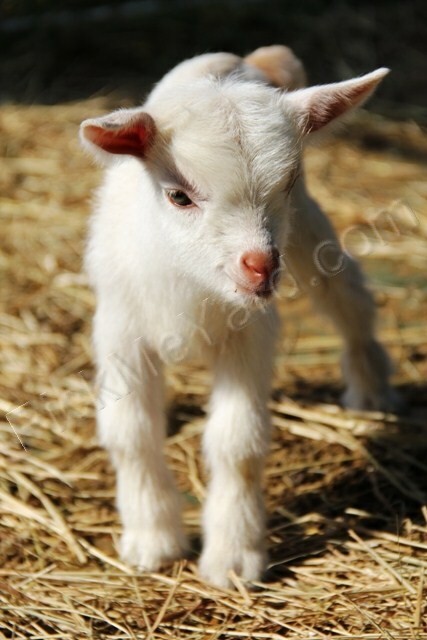 Our Nigerian dwarf goat, named Chloe, had a baby girl last night (a female goat is called a doe). Nigerian dwarfs make the cutest babies. If you don’t believe me, judge for yourself. She isn't even 24 hours old yet. Chloe's such an awesome mom! 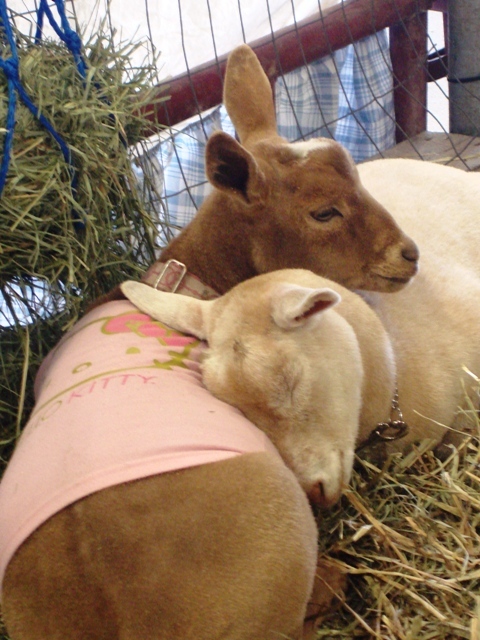 Most dairy goat owners take the babies away from the mothers immediately. It is especially important to do this if the mother has a common disease called CAE because it is easily passed to the baby once it’s born. We’ve chosen to allow our Nigerian dwarfs to keep their babies for a short time (probably a month). 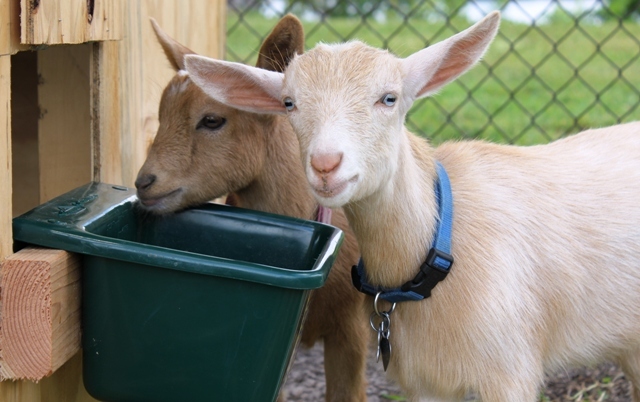 Our goats are CAE free which is one of the reasons we’re letting them stay together. 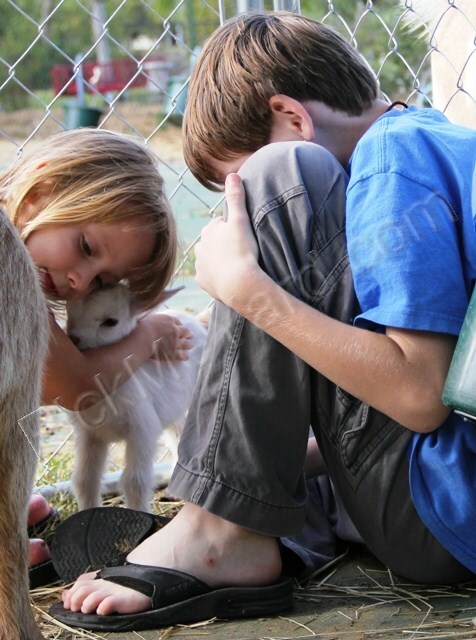 If you want to learn more about birthing goats, check out Fias Co Farms website. I believe it’s one of the best for goat information online. Nothing beats having friends with goats though. We’re very thankful for ours. No social issues for this baby goat. Chloe can't stop licking and cuddling her baby. 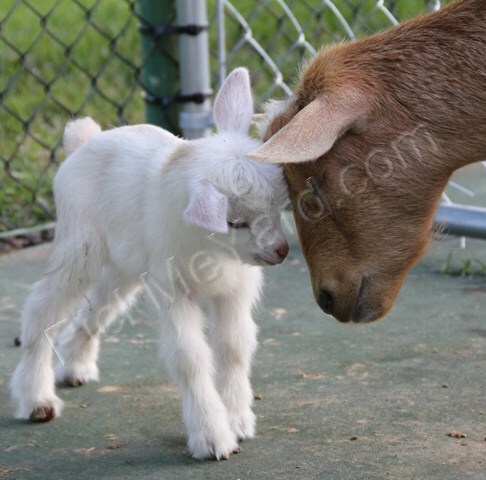 The cream colored Nigerian dwarf is next to kid (give birth). Her due date is today! Loring and her two LaManchas. They are a breed of goat with small ears and a BIG personality. They're my favorite breed. Everybody has their favorite breed. 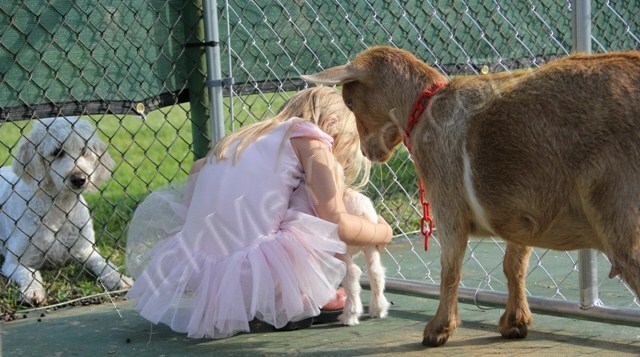 The 5-year-old in the tutu has named the new baby goat “Glitters”. We laugh every time we say it. I was hoping we could persuade her to find a different name, but I don’t think we’re going to win this one. However, the baby will be going to a new and wonderful home at Alva Island Farm soon. She’s planning to name the next babies… Puddins’ and Sprinkles. Great. I’ve taken a long break from posting to my blog. It wasn’t intentional. I always have so much information that I want to share. I think it’s a bit like exercising … when you stop, it’s tough to get started again. 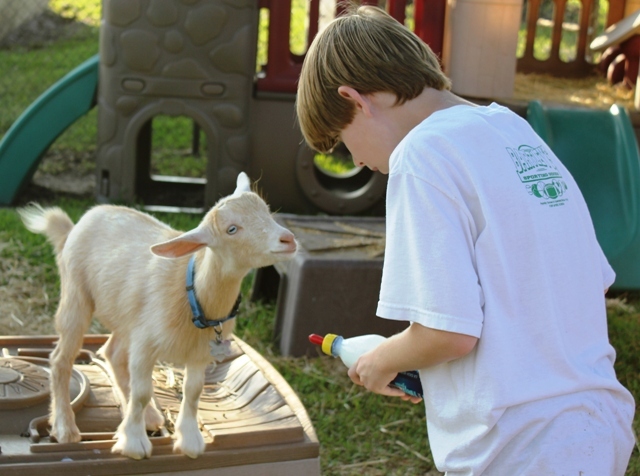 Our garden is thriving, but we tend to spend most of our free time with our goats these days. We milk twice a day and it’s a family affair. We have 6 goats now . Funny how it all started with 2 baby Nigerian dwarfs. We added 4 larger breeds and one of them is giving us a gallon of milk a day. Our 2 baby Nigerian dwarfs are not babies anymore. They’re both over a year old and should be having their own babies in about 120 days. It’s all very exciting to us. We won’t keep any of the babies though. Our herd must stay small. My children disagree. A recent trip to Jamaica provided us with some great photos that I just can’t keep to myself. 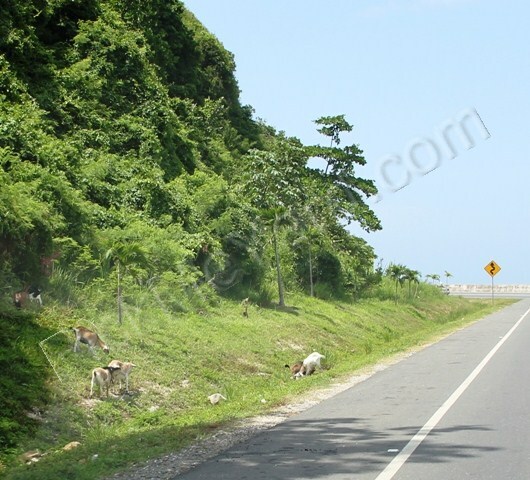 The first set is a series of pictures that I took while driving from Kingston to the country (outside Ocho Rios). 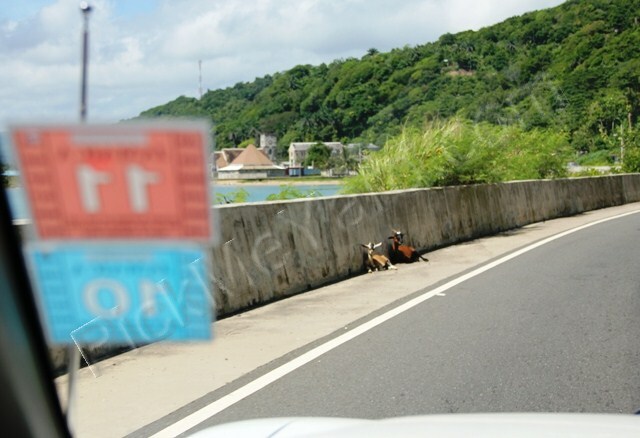 Every time someone in the car spotted a goat, they yelled “g-o-a-t”! I tried my best to get a decent picture. The numerous potholes, rain, kamikaze drivers, roadside cliffs and other surprises on the Jamaican roads gave me less than a second to get a shot. 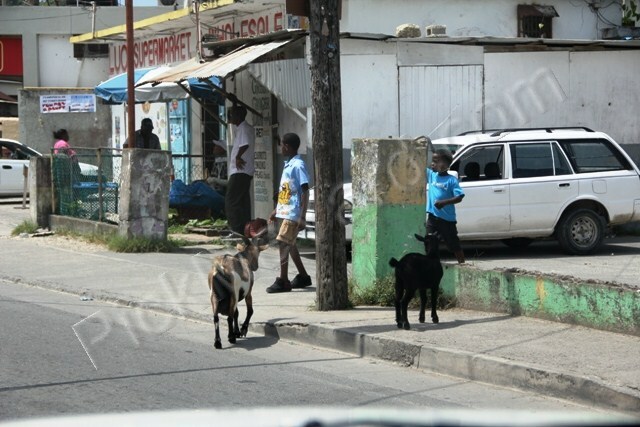 We were very interested in the breeds we would find in Jamaica. 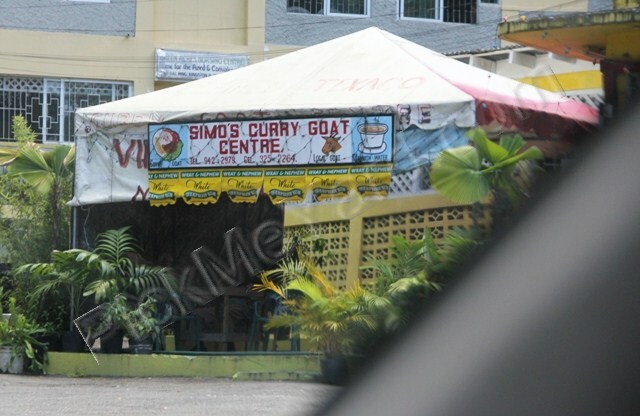 Jamaicans love curried goat. I don't think they realize how great the milk is. A herd of goats came charging out an open gate. They stopped before running into the road. This group was on a very curvy road. We saw this same herd walking down the side of the road on our way back. 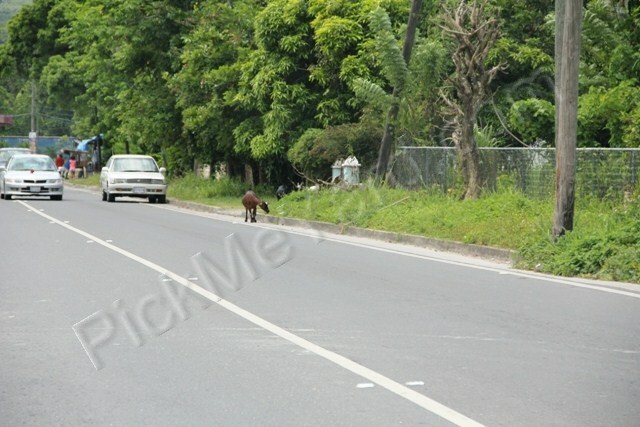 My friend watched a Jamaican goat look both ways and cross the street at a cross-walk the other day. ... outside a rum bar. I missed the shot of the herd walking in a single line along the road ... and facing traffic! I caught these two resting. 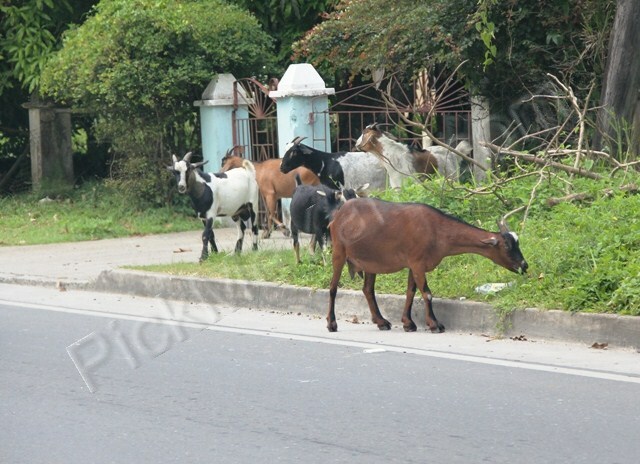 More goats in traffic. We're just so amazed at how street smart they are. 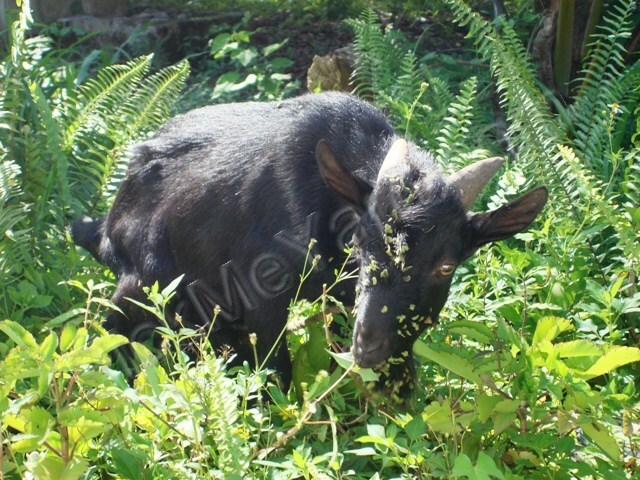 A Jamaican buck enjoying his smorgasbord of greens. This post wouldn’t be complete without a link to one of my family’s all-time favorite songs, “Ram Goat Liver”, by Pluto. 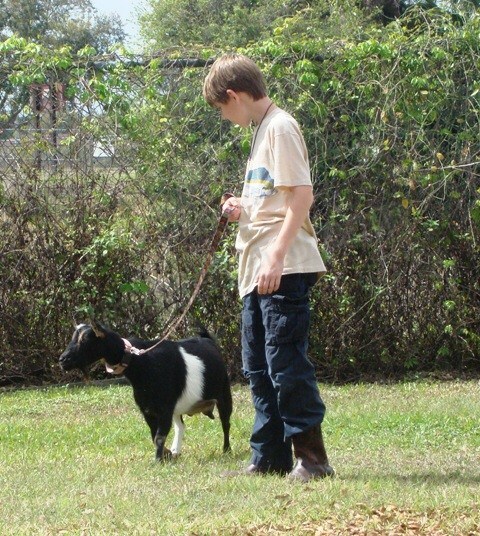 We have a Nigerian dwarf goat (named Honey) that a friend loaned us to use as a family milker. Her milk is so rich and creamy that we find ourselves hiding it from each other in our fridge. It’s 6% butterfat. It has no goaty flavor and no smell… just delicious! 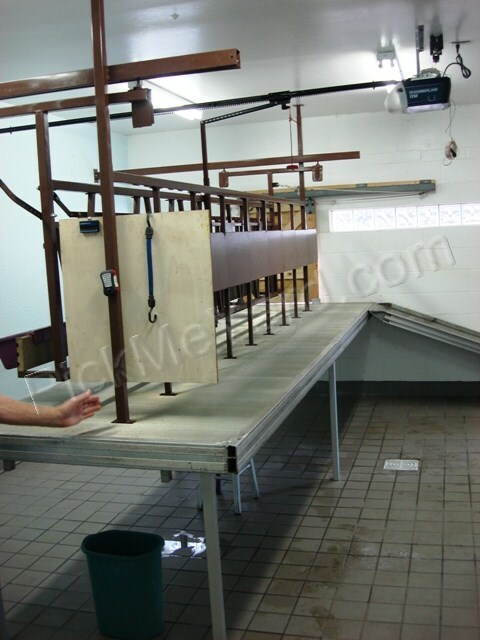 Grayson does all the milking himself, two times a day. He’s learning some serious skillz. Honey loves all the special attention and treats she gets from being milked. Whenever she sees Grayson she jumps up on her milk stand and waits for him. We were told there was a chance that Honey could be pregnant. We decided to take her down to the Verandah Pet Hospital to find out with an ultrasound. 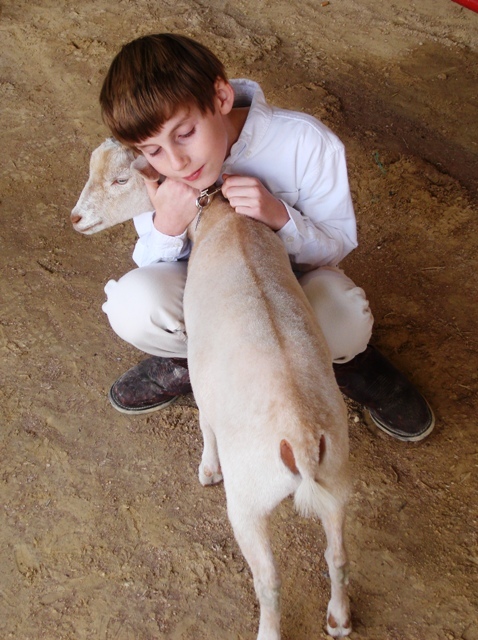 Dr. Piper is a small animal vet and doesn’t treat goats (ruminants). He made an exception for us… for the kids. 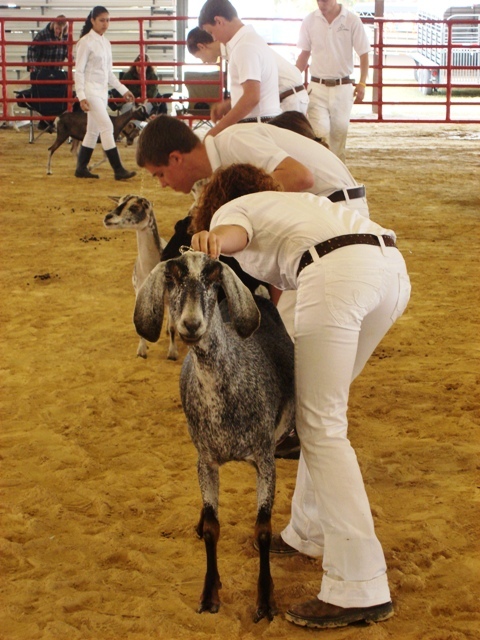 Goats are considered livestock and treated by large animal veterinarians. Dr. Piper can’t deny that it turned out to be a fun experience though. The children loved it! Grayson walking Honey outside Verandah Pet Hospital. Loring and Dr. Piper discussing where the baby goats come from. The ultrasound didn’t find any baby goats. That’s the ultrasound machine in the background in the above photo. If she were pregnant, the ultrasound would find the babies on her left side under the rumen. Oh well, maybe next time. Now we can milk her longer. Here’s a link to a YouTube of an ultrasound being done on a goat. It can be difficult to tell if a goat is pregnant. 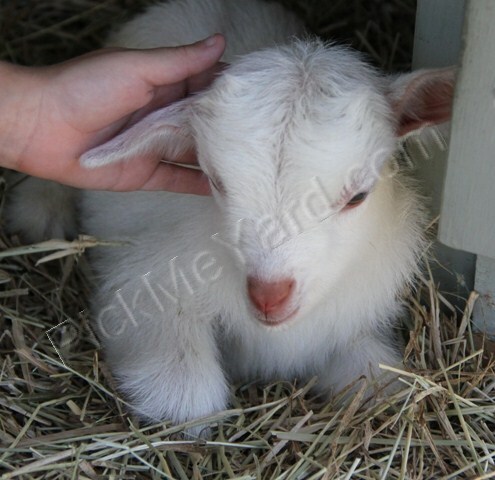 This is a link from Fiasco Farms (my absolute favorite online site for goat information) for more information about goat pregnancy. Dr. Smith works at Verandah Pet Hospital part time. Isn't she beautiful? We took our two little Nigerian dwarf does to the South Florida Fair to compete against the professionals this past weekend. It was a whirlwind. We had no idea what to expect. We put a lot of time and effort into the preparation and jumped head-first into the learning curve. 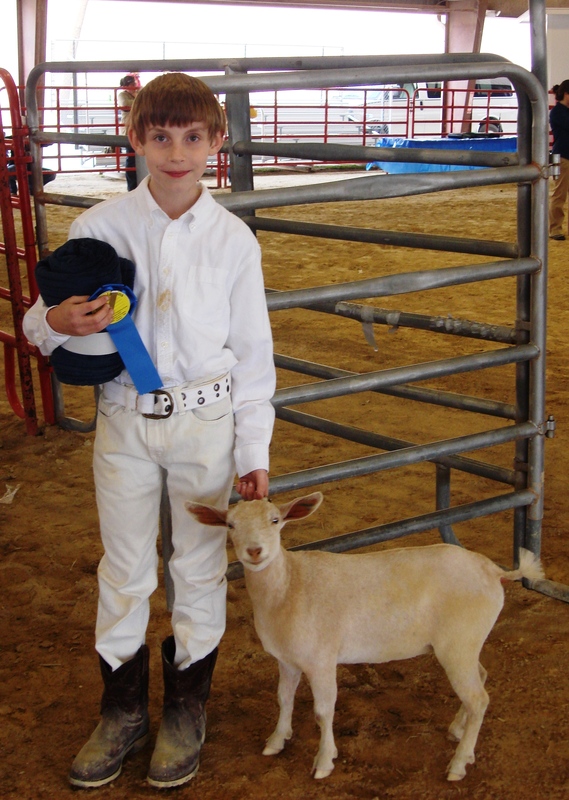 Grayson and his goat “Mary” did fantastic in their 1st class at their 1st goat show. 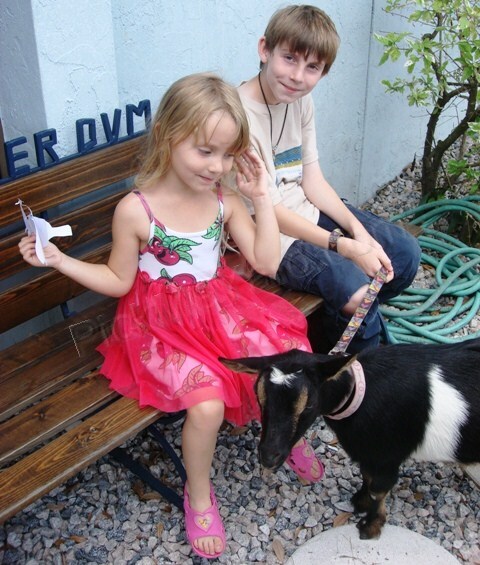 Grayson had such a good time at the show and all he can think about now is … goats. I’m having the same problem. They are beautiful, intelligent, playful and useful animals. 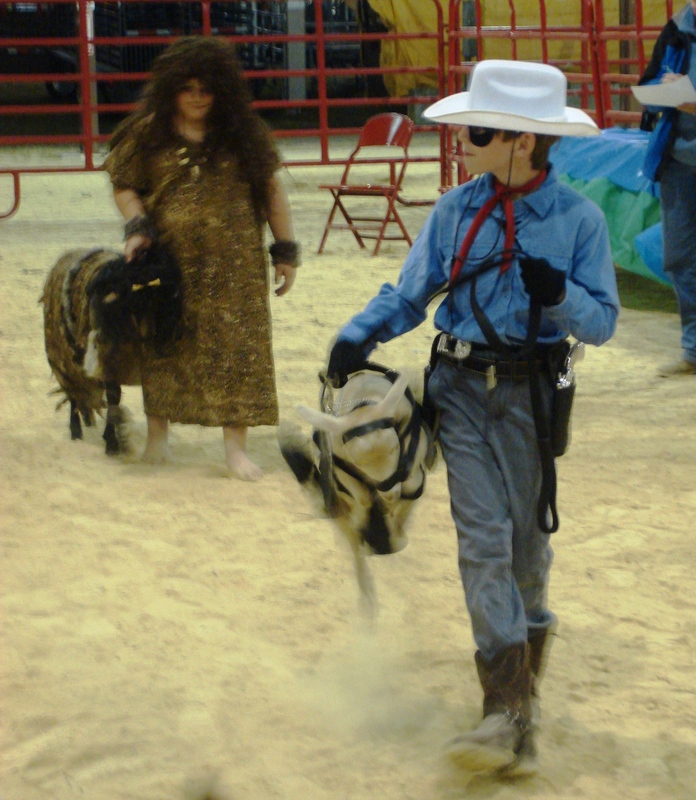 The goats at this show were some of the most elegant animals I’ve ever seen. 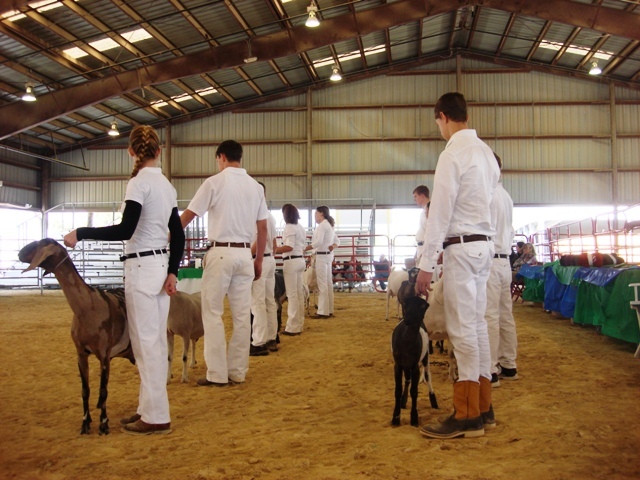 A class of dairy goats being judged. 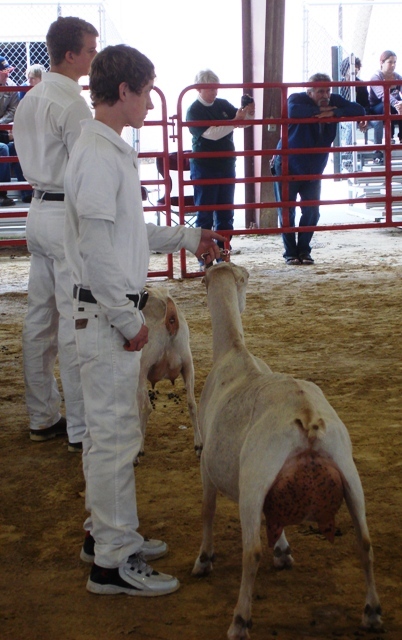 The goats are "set-up" to show their dairyness. Waiting to go into the ring. 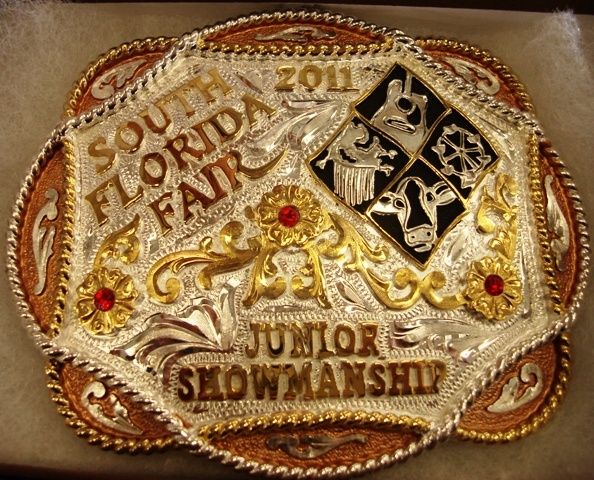 Mia's only 11-years-old and won a gorgeous, engraved, silver belt buckle. 4-H kids are smart and wholesome. They know how to take care of their animals and are not to be trifled with. The show wasn’t all pursed-lips and seriousness. There was a fun costume contest. The lone ranger showed up. Whoa, Silver! I made "Silver's" saddle and bridle from a old vest and purse I bought at Goodwill. Check out Goodness Gracious Acres to see the full range of costumes in the contest. She’s a fellow blogger and took some great photos. She also sells homemade goat soap and other items from her website. Mia and Grayson. 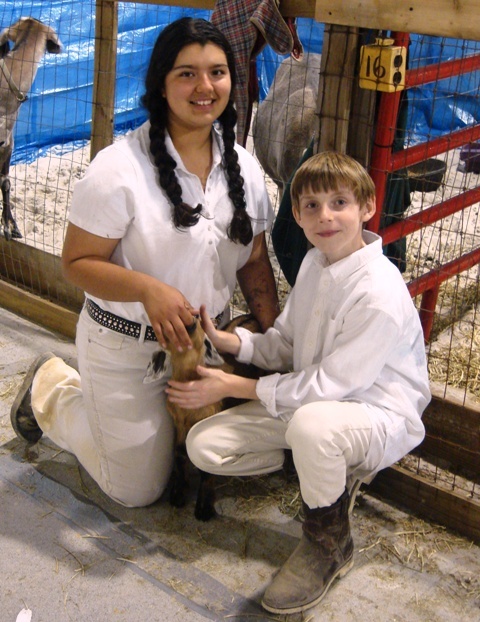 Mia is the “goat whisperer” and has taken Grayson under her wing to teach him. Mia is such a special young lady and an inspiration to us. She got us started with our chickens and has been a huge help with our goats. Her knowledge of animal husbandry is very impressive. If we could motivate all of our nation’s youth to be as motivated as the 4-H kids, our country’s future would look much brighter. Mary is getting a much-deserved hug. It's exhausting, but worth it. Our two little does did very well at our first show. We’re super proud of them. Goat husbandry is new to us, but we plan to learn all we can. We decided to take a poop sample from our two goats to our veterinarian to check for parasites. 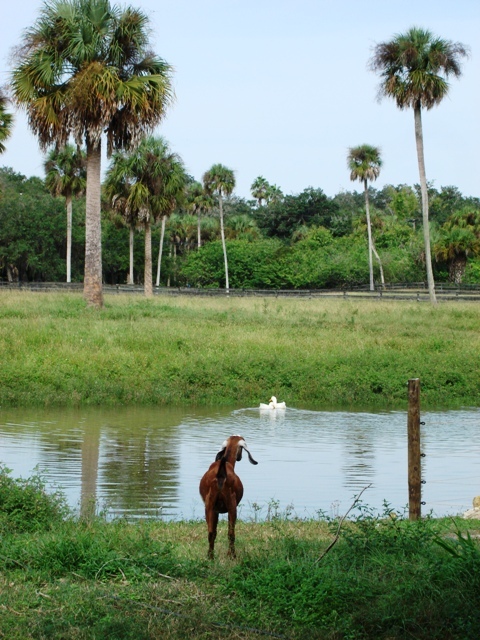 Goats are very susceptible to parasites, especially in Florida. 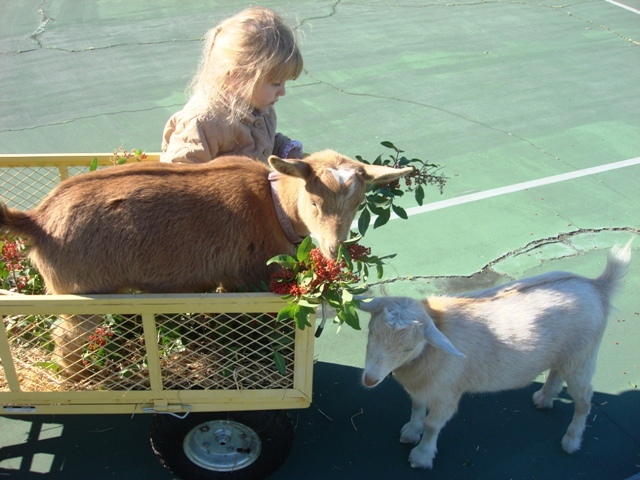 Our Nigerian dwarf goats playing on a cart. 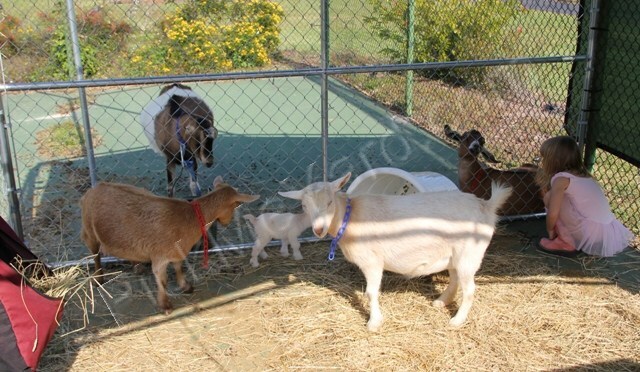 Our Nigerian dwarf goats live on our tennis court now. The court needs re-surfacing and we decided that keeping our goats on it would be a better use for the court than tennis. Nobody has stepped foot on the court for many years and now it’s the most popular spot in our yard. 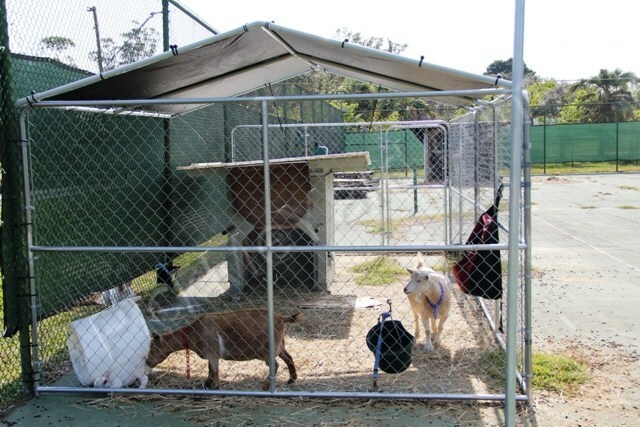 The goats have lots of toys, two playgrounds, shade and their barn. 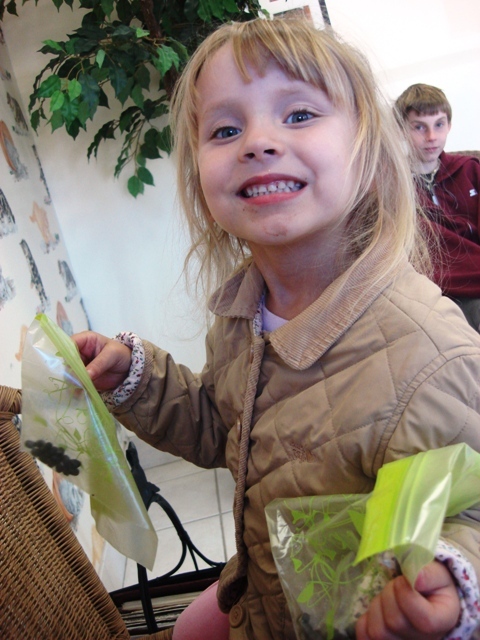 We always bring them treats such as branches of Brazilian pepper trees. 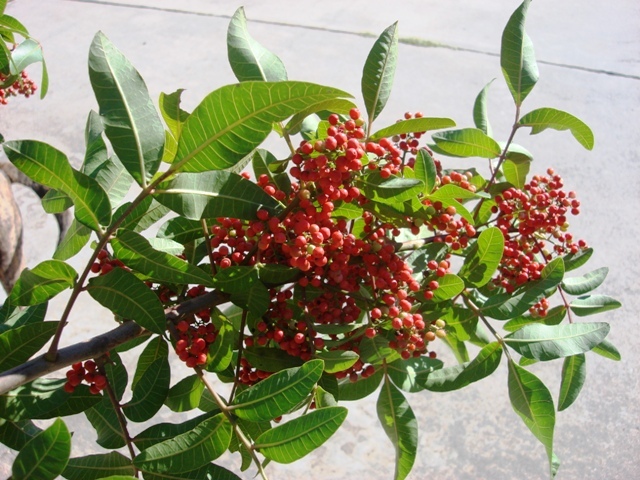 The Brazilian pepper tree is an invasive species in Florida so we have it in abundance. It’s a natural wormer for the goats. Brazilian pepper tree branch. The goats go crazy for it and it's good for them. Chloe & Loring playing "parade". 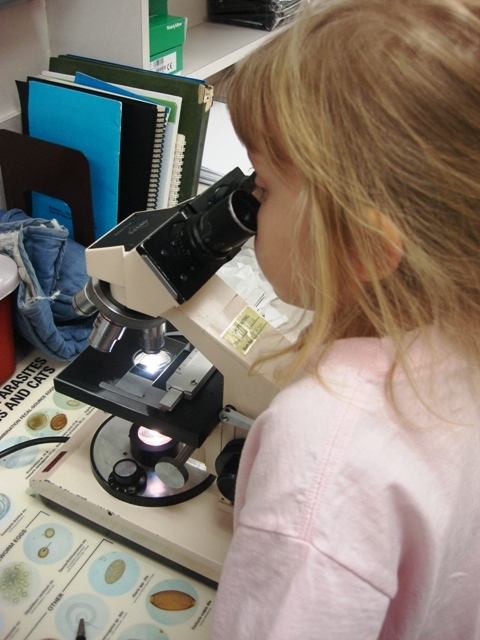 Loring helped collect the poop samples from our goats to look at under a microscope. That's chocolate milk on her face. 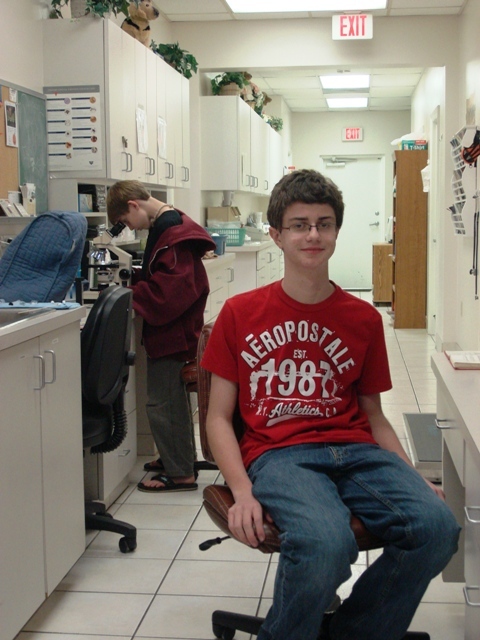 Grayson & Loring are learning how to prepare the poop sample to look at under the microscope. She’s only 4-years-old, but she’s very interested. 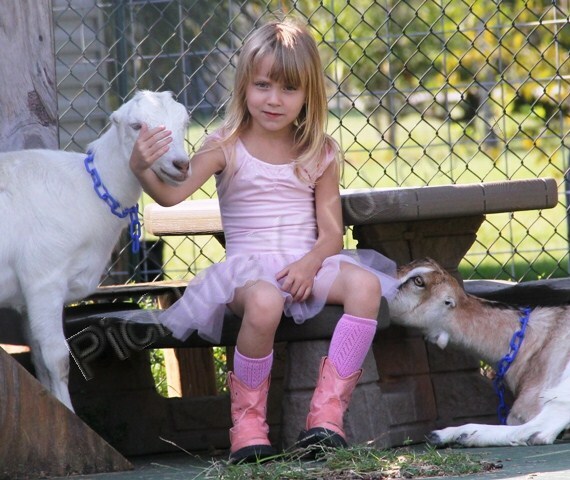 Chloe is her goat. 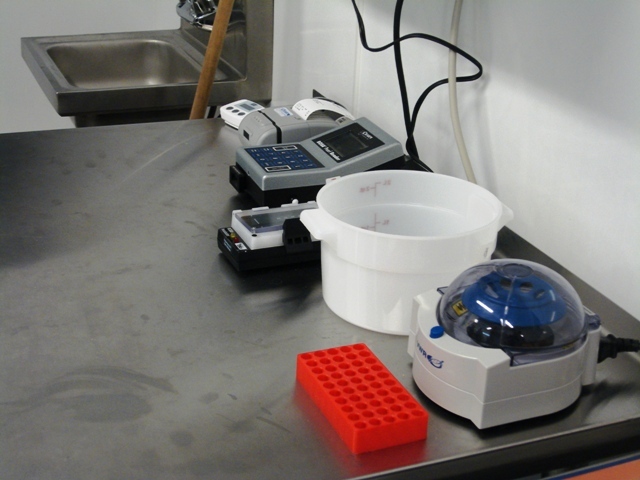 Our veterinarian used the centrifugation method with a saline solution to prepare the poop sample. He gave the kids an awesome lesson on how to use a microscope . 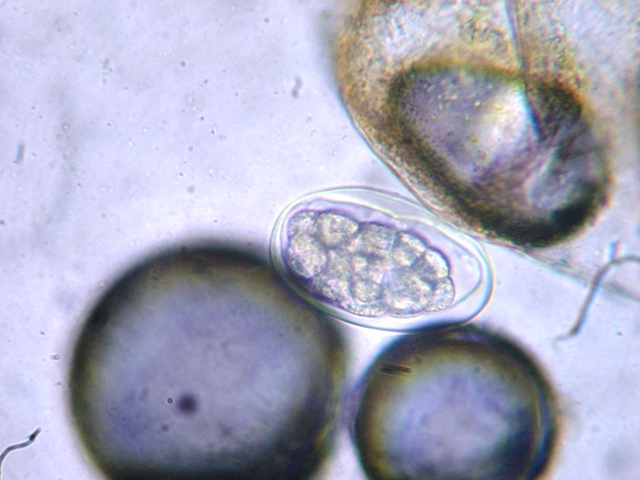 We found about six eggs for a common stomach worm in goats called Haemonchus contortus. 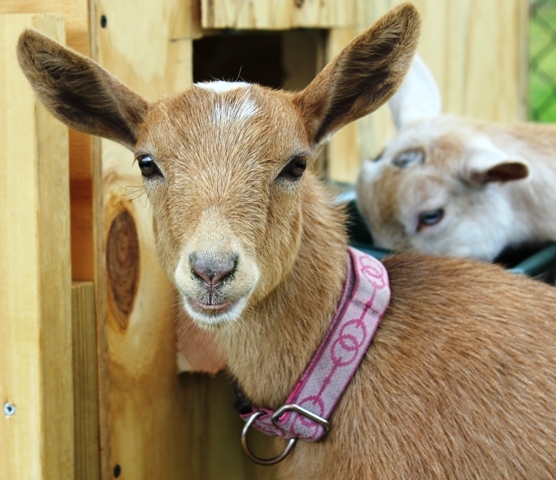 The best website I’ve ever found for goat information is Fiasco Farms. I refer to this website regularly. They have some great photos of goat parasites. 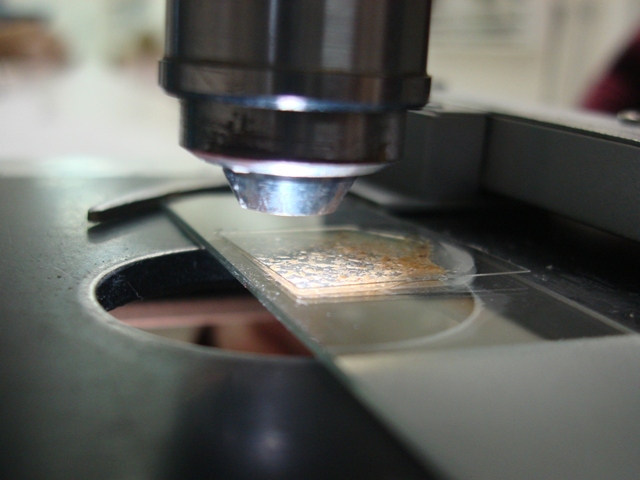 The photo below was taken with my camera and is one of the actual parasite eggs we found. The oval parasite egg is in the middle of the photo. The black spots are air bubbles. 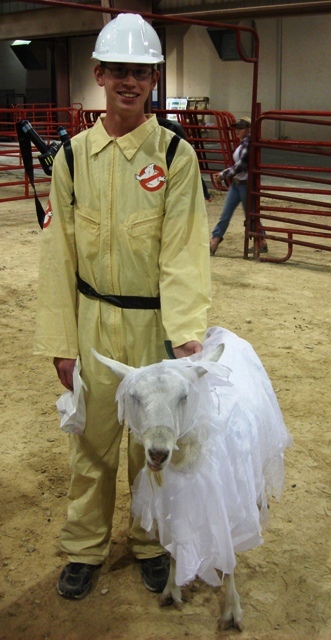 Our veterinarian, Dr. Douglas Piper, doesn’t treat goats. He makes an exception with ours because he’s my dad. He also happens to be a blogger. 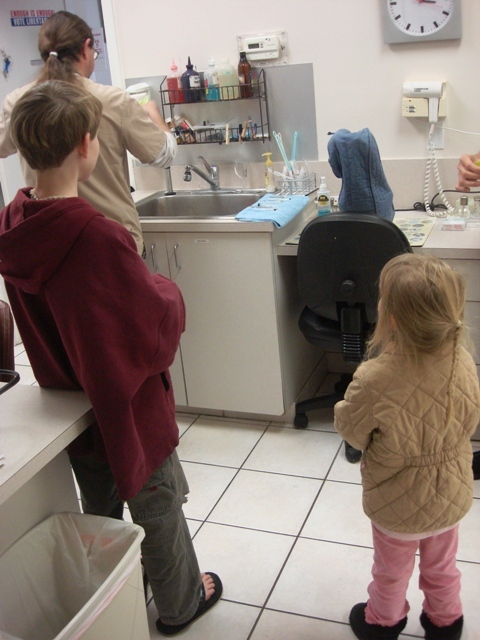 Click here to check out his blog on veterinary medicine. Grayson & Michael... future scientists. Chloe, a Nigerian dwarf goat. I have a few friends that have goat farms nearby. I’ve always wanted my own goats… and so did the rest of my family. My friends and husband would always tell me that if I want a goat, then I should get a goat. I knew I was capable. I was raised with horses. 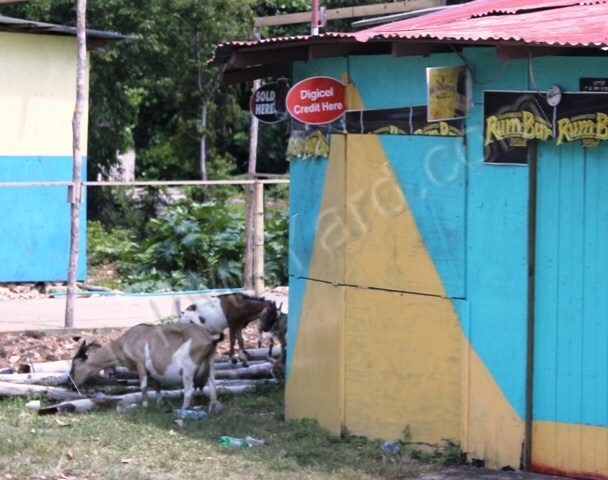 But still, I was apprehensive about goats. Would it be too much work? Would I regret it? 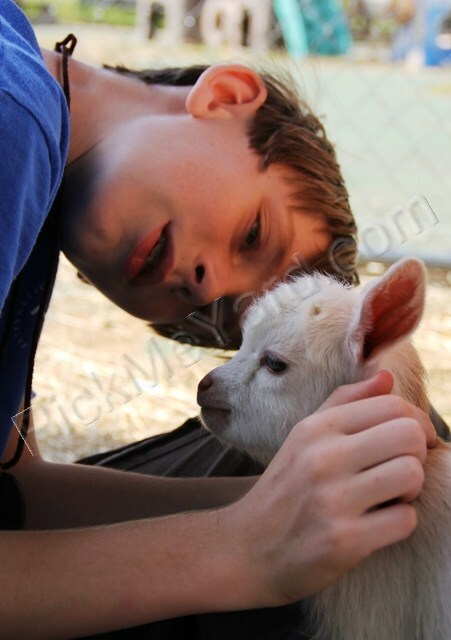 Grayson bottle feeding his Nigerian dwarf goat, Mary Quite Contrary. 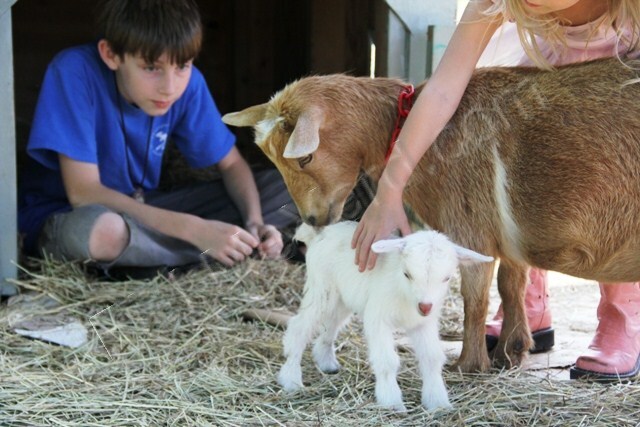 We’re absolutely elated to have two little Nigerian dwarf goats. Not only do we not regret getting them, but now we want a whole herd. We looove them! We love taking care of them too and race each other to get to them first with our bottles in hand. They have such adorable personalities. Mary is sweet and not contrary at all. Chloe is feisty but loves to be picked up and hugged. Actually, they both live to be hugged. Their size makes it very easy to stay in control of them. 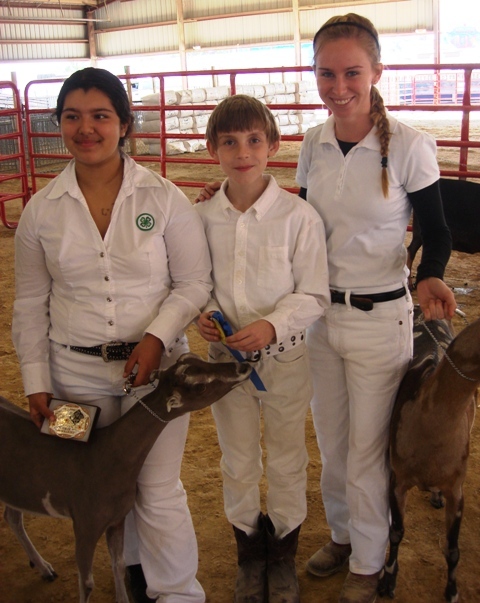 4-H has started this year and both my children are going to show their goat. 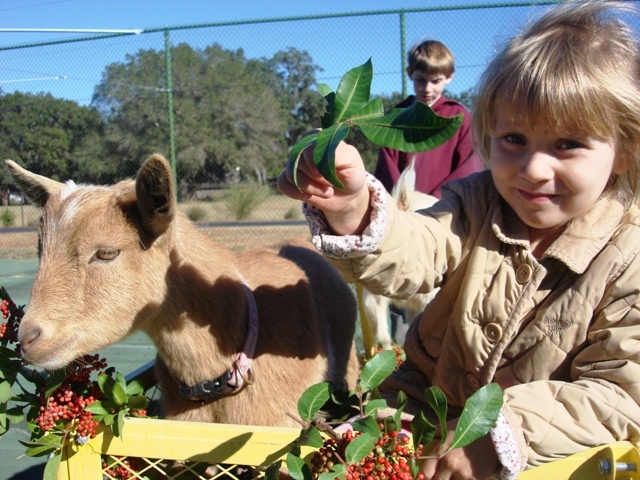 Our club is going to teach the kids all about beekeeping, gardening and goats. Grayson is so excited to learn everything he can about goat husbandry. We’ve got some incredible teachers in our group to learn from. 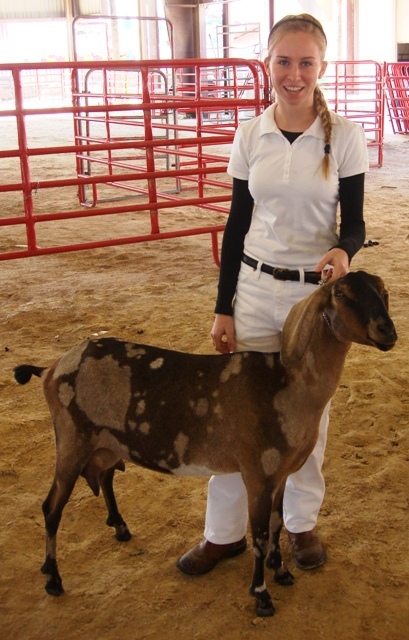 The Nigerian dwarf breed is known to be an excellent dairy goat and we will be milking ours. 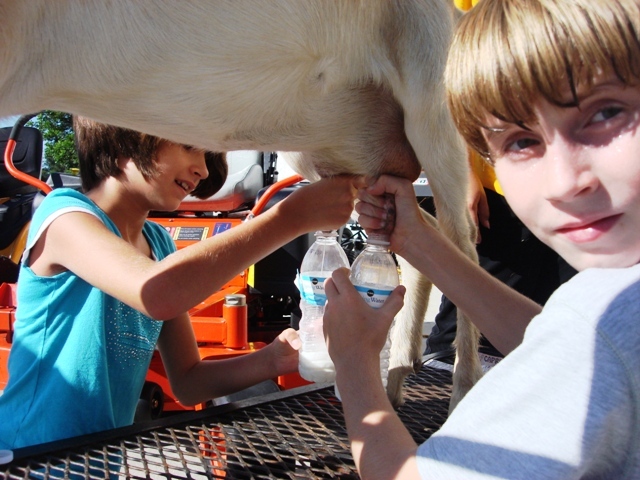 Grayson is milking a friend's goat for a 4-H event. The goat barn under construction. Why do these things always get built in the dark? Because I kept changing the plan, not because my hubby is a ferocious procrastinator. I’m not complaining… I think he added some really clever details. He built our little portable barn to keep our goats dry at all times. 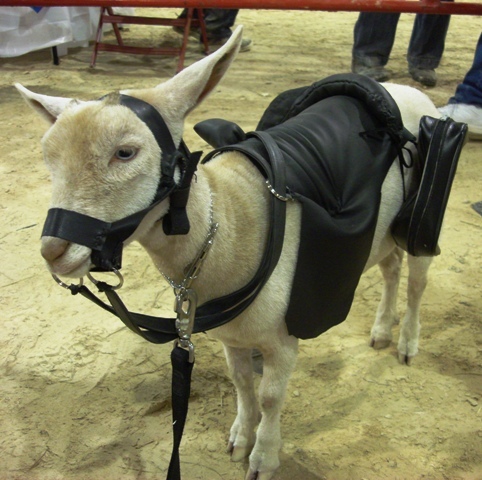 Goats do not like to get wet and it can be detrimental to their health. Goats doing what goats do. 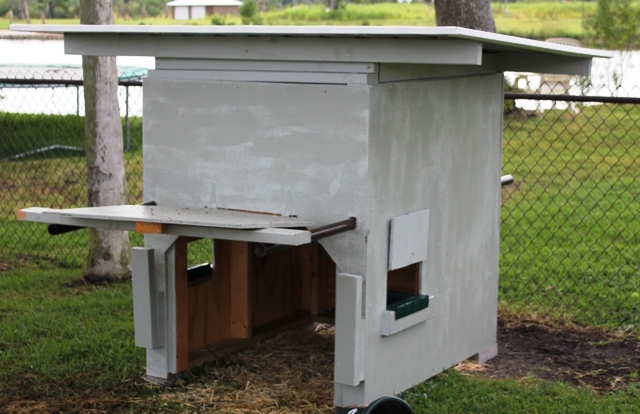 Our goat shelter has ventilation at the top and can be placed on bricks for more ventilation at the bottom. We’re going to place it on top of a pallet with some fresh hay for bedding. Greg made the roof of the barn so that it can easily be taken off if we need to move it a considerable distance in the yard. It has poles that go through the entire structure so that two people can carry it with ease. It looks heavy, but it’s not. We learned our lesson with our chicken tractor. It ended up being way too heavy to move easily. My husband made a little window on each side for the food and water buckets. He designed the buckets to be on the inside or the outside. If the bucket is on the outside, the goat has to reach her head out the window to get to it. It keeps her from pooping in the water or food. For now, we keep the buckets inside at night so we can shut the window over the bucket. It keeps the barn completely secure against predators. We usually switch the buckets to the outside in the morning. The inside of the structure is high and we plan to build a platform that is up, off the ground. The front door locks securely. 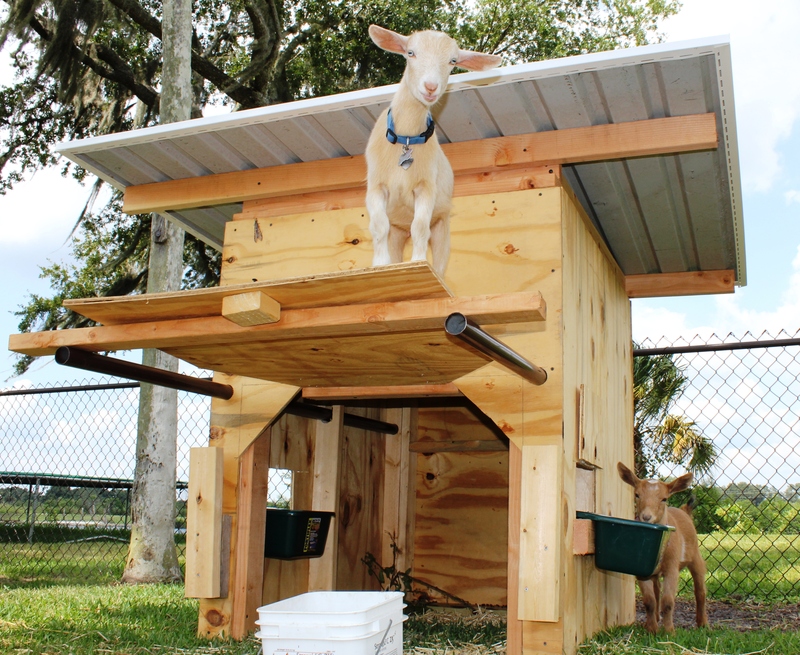 Our goal was to provide our goats with a totally secure and completely dry house to sleep in at night (and shelter during the day). 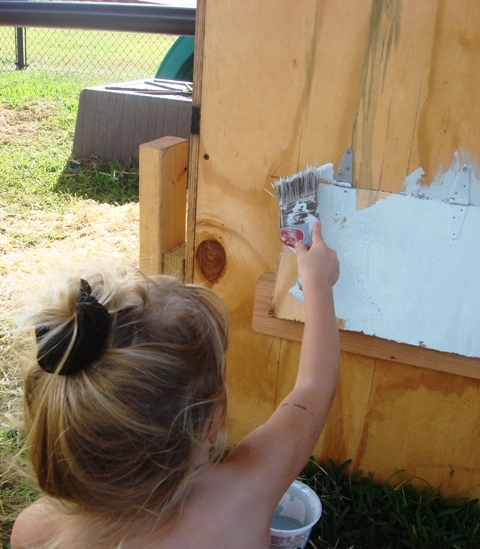 This is the children's favorite part of every project. 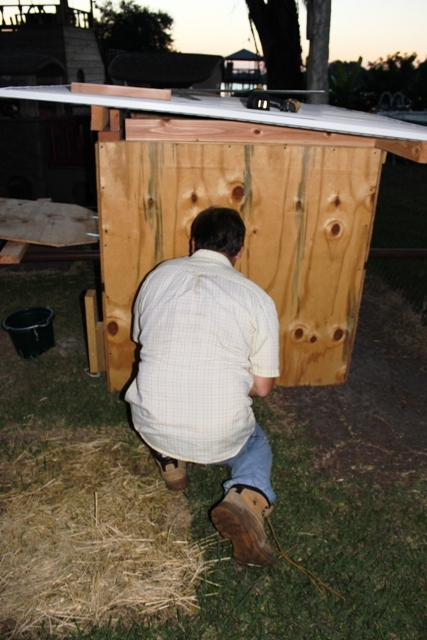 The finished project... a portable barn... for Nigerian dwarf goats. 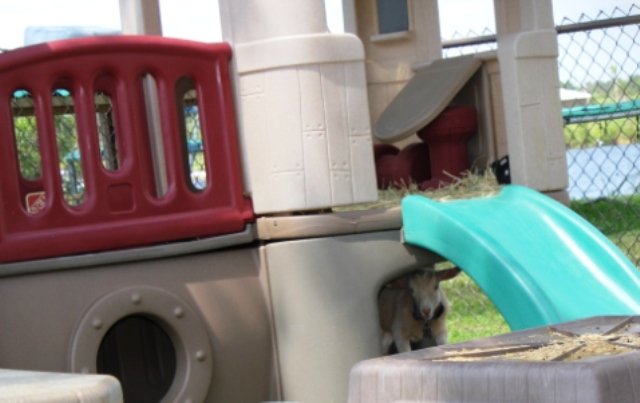 Mary peeking out from under her playground. Their entire area is fenced in. We have another area fenced off as well so we can rotate them. 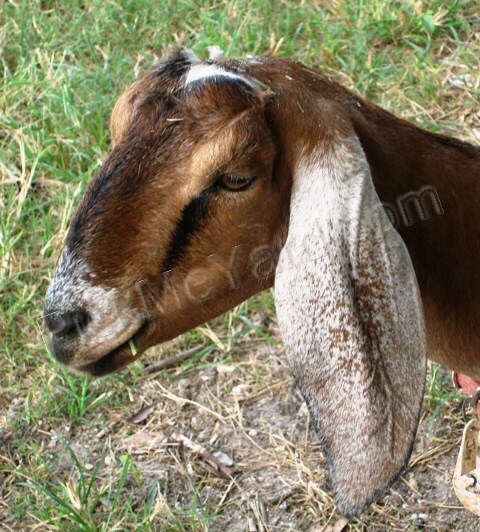 Goats are extremely prone to parasites and rotating their pastures helps to keep the parasites under control. They have a gorgeous playground and fun stuff to jump on. Goats have invisible wings. We set up chairs to watch them play because they make us laugh hysterically. They do actually slide down the slide… over and over.